Born into poverty, Howard Adams became one of the most highly educated, outspoken, and controversial Aboriginal leaders of his time. As an educator, political leader, and writer he raised the political consciousness of Aboriginal people concerning their position in capitalist society. The single-minded purpose of his work was the struggle against the colonization of Aboriginal people in Canada and throughout the world. He was born on September 8, 1921, at St. Louis, Saskatchewan. His mother was French-Cree and his father English-Cree; his great-grandfather was the famed Maxime Lépine, who fought with Louis Riel and Gabriel Dumont against the Canadian troops in the North-West Resistance of 1885. Growing up in St. Louis, Adams witnessed numerous acts of racism against First Nations and Métis people, which left a lasting impression and instilled in him a passion to fight for the betterment of his people. In 1940, he completed high school and joined the Royal Canadian Mounted Police as a constable, a position he held until 1944. Between 1944 and 1955, he worked as a school liaison counselor for the Vancouver School Board, during which time he attended the University of British Columbia and completed a Bachelor of Arts degree in Sociology. Adams then attended the University of Toronto and received a teaching diploma in 1957. From 1957 until 1962, he taught high school at Coquitlam, British Columbia. In 1962, he enrolled at the University of California, Berkeley and completed a doctorate in 1966 in the History of Education, thereby becoming the first Canadian Métis to acquire a PhD. In the same year, Adams returned to Saskatchewan and took up a position in the College of Education, University of Saskatchewan. 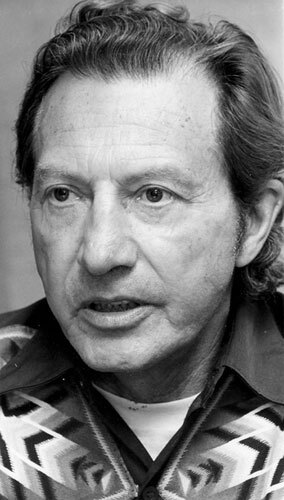 In 1975 Adams returned to the University of California, where he held a position as professor of Native American Studies until he retired in 1987. In the following year, Adams and his wife Marge moved to Vancouver, from which he returned to the University of Saskatchewan during the spring and summer to teach courses in the Department of Native Studies. The time Adams spent at the University of California during the 1960s had a huge impact on his intellectual and political development. After listening to Malcolm X speak on the Berkeley campus, he began to draw parallels between the Métis in Canada and the Blacks in the United States: he began to view the Métis as an internally colonized group and to understand that their struggle was very similar to the struggle of Black Americans and Africans against colonization. When Adams returned to Canada in the mid-1960s, there was a growing cultural and political awakening among Aboriginal people, and Adams immersed himself in Métis politics. Before long, he became one of the most prominent leaders of First Nations and Métis people in the province and on a national level. In 1969, he was elected president of the Métis Society of Saskatchewan, a position he held until 1970. As a political leader, Adams was a master at using protests and the media to draw public attention to the struggles of Aboriginal people. He was also a gifted orator prone to espouse militant leftist views, which earned him the label of one of the most aggressive and controversial Aboriginal leaders of the time. Above all, however, Adams' political leadership during the late 1960s and early 1970s served to reinvigorate Métis pride and identity, and thereby to fan the flames of Métis nationalism that had been dormant since the post-1885 Resistance period. Adams published his first book, The Education of Canadians 1800-1867: The Roots of Separatism, in 1968. Another book, Prison of Grass: Canada from the Native Point of View, published in 1975, thrust him into the national and international limelight. Seen as groundbreaking because it was written by a Métis scholar and from a Marxist perspective, the premise of the book was that the deplorable conditions of Indian and Métis people in Canada were the product of three centuries of colonization; Adams condemned the Canadian government's assimilationist policies towards Aboriginal people, while he also lambasted the supremacist ideology of mainstream society. In 1995, he published Tortured People: The Politics of Colonization, unleashing a scathing attack on the effects that racism, Euro-centrism, and neo-colonialism have had on Aboriginal people. In particular, Adams was deeply disturbed by the effects that government funding had on Aboriginal leaders - many of whom he characterized as neo-colonial collaborators and self-interested opportunists. Adams' aggressive political leadership style during the late 1960s and early 1970s symbolized the Aboriginal struggle for decolonization and self-determination. In 1999 the contributions Adams made to Aboriginal people in Canada were acknowledged when he was presented with the National Aboriginal Achievement Award. He died on September 8, 2001, in Vancouver.